At Granite Bay Care, we value our employees as essential to realizing our mission, vision, and values and are strongly committed to providing the education, training and support necessary to maintain a professional and committed workforce. The Granite Bay Care Training Department provides a rigorous training protocol to all levels of Granite Bay Care staff in order to ensure that each client is afforded competent staff who are professionally equipped with the skills to facilitate a productive atmosphere where the client can reach his or her fullest potential and live a healthy life. The Training department is committed to a top notch educational experience through incorporating curricula that integrate best practice concepts, core clinical skill building, and evidence based-trauma informed knowledge. Given our strong value of education the trainings offered here not only meet but consistently go beyond the State and Federal regulatory requirements making Granite bay Care, Inc. a leader in the field. This live classroom curriculum covers the legal Rights of people receiving services that are guaranteed by State and Federal law, empowering client choice, and maltreatment. The participants are taught how to be advocates in obtaining and upholding the client’s fundamental rights and to support client choice in their daily work. Participants learn how to distinguish the difference when working with clients who have severely intrusive plans as well as their legal responsibility as mandated reporters to report suspicion of abuse, neglect, and exploitation. This live one-on-one or group training covers the formal procedure of documentation and notification when there is a crisis including but not limited to circumstances when staff must legally act as mandated reporters and report suspicion of abuse, neglect, and exploitation. This live classroom curriculum is an introduction to crisis prevention that emphasizes early intervention and nonphysical methods for preventing or managing disruptive behavior. CPI's Personal Safety Techniques are included. This live one on one training is client specific. Prior to working a shift with a client every GBC employee meets with his or her supervisor and learns the client’s Person-Centered Plan (PCP) goals, Behavioral and/or Severely Intrusive Plan, and how to best implement strategies to help the client overcome challenges. This live classroom curriculum provides participants with the knowledge to effectively navigate a community and workplace of cultural diversity. It provides the participant with the skills to achieve culturally competency while maintaining a client centered approach in the programs and in the community. This curriculum is the mandatory live classroom 2.5 day training for staff to obtain DSP Certification. The student actively participates in an interactive forum gaining the biological-psychological-social-spiritual knowledge of the challenges and strengths of the clients we work with while obtaining the skills to effect positive change. The topics covered are but not limited to Introduction to Developmental Disabilities, Mental Illness, Community Inclusion, Communication, Direct Support Professionalism, Documentation Teaching people, Sexuality, and Positive Behavior Supports. The CDS is a mandatory online curriculum in order obtain DSP Certification. It provides carefully designed training in the areas that have been identified as most important in the work of DSPs. All the training is available over the Internet. This live classroom curriculum teaches participants to identify and eliminate potentially hazardous conditions in their environment, recognize emergencies and make appropriate decisions for First Aid care. It teaches the knowledge and skills that individuals in the workplace need to know to give immediate care to an ill or injured person until more advanced medical care arrives. This live classroom curriculum explains the role, responsibilities, and characteristics of a CRMA. The student will be able to demonstrate infection control measures and perform vital signs, and understand pharmacology and Medication administration. This live classroom curriculum reinforces the role, responsibilities, and characteristics of a Team Leader/House Manager. The course integrates State and Federal regulations as well as the Granite Bay Care policy and procedures with a rubric that the Team Leader/House Manager is consistently evaluated on. The data collected is used as an internal control measure to assure program compliance and quality services for all clients. All New Hires go through a mandatory on-site job shadow training with a GBC Job Shadow Certified House Manager or Team Leader. The new hire is introduced to the required documentation of the program, meets the Client, and the House Manager or Team leader is able to begin the professional relationship with his or her staff. These live classroom curricula trainings are provided at the Management and Director Level to advance the clinical knowledge and practice of the clinical teams. The participants learn in depth behavioral and medical health topics from the highly trained and experienced in-house Clinicians, Psychologist, and Nurse. RELIAS is a web based learning Management System that Granite Bay Care uses to conduct on-line training as well as schedule mandated trainings and communicate with all staff. 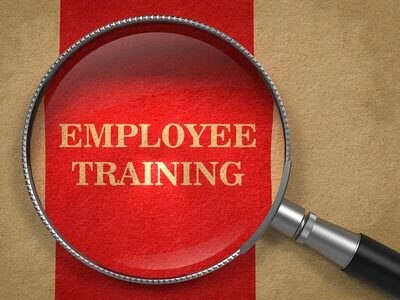 We utilize this system to insure compliance with all federally mandated trainings. This system is simple to navigate and has a large number of courses that are elective providing an opportunity for staff and managers to can continue their education and gain specific knowledge about topics concerning the clients they are serving. For example, a staff working in a home that has clients with autism have the opportunity to learn additional strategies for working successfully with clients with autism.